Steve Morris Engines is the place for cutting-edge development of supercharged engines. Years of experience and continual testing makes Steve Morris Engines the leader in supercharger engines and engine kits! We can pass this on to you in the form of all our kits! When you combine any of our supercharger, engine and carb/EFI kits, you will get proven parts and service for actual ProCharger racers. We don't race circle-track or anything else. We race supercharger combinations, we help with tuning, chassis set up, converters, gearing, fuel systems, everything we learn at the drag strip we pass on to you! Do you already have an existing ProCharger? Are you looking to maximize power output? Steve Morris Engines has the answer - the PRO-VOLUTE! 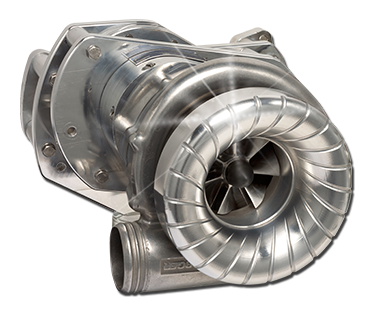 This series of internal and external modifications enhance the blowers output for the ultimate in power !